This 12pc kit covers most modern cars including; Volkswagen, Audi, Skoda, Ford, Vauxhall/Opel, BMW and Mercedes. If you want a toolkit that will remove steering wheel airbags without damage then this is the kit for you. 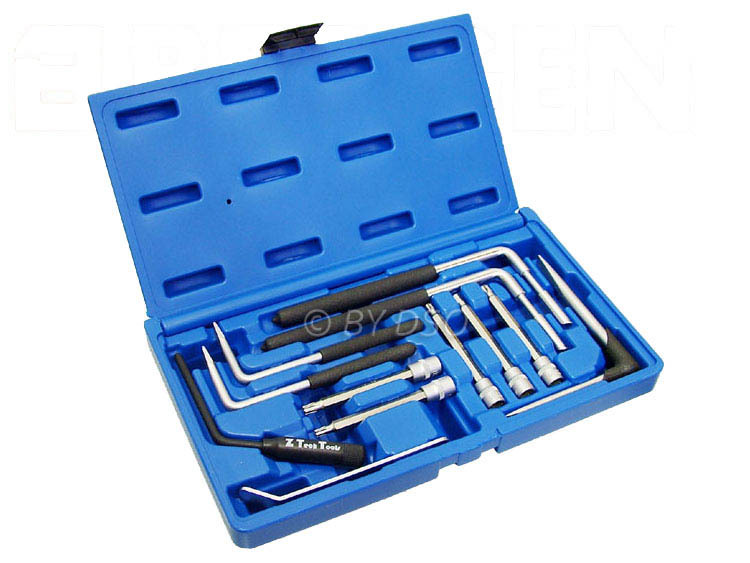 Angled tools included in this kit will let you access the airbag without removing the steering column cowling. Some airbags suit a 1/4"dr torque wrench which may be required for re-fitment (not included). If in doubt check with your vehicle manufacturer. This product was added to our catalog on Sunday 04 July, 2010.